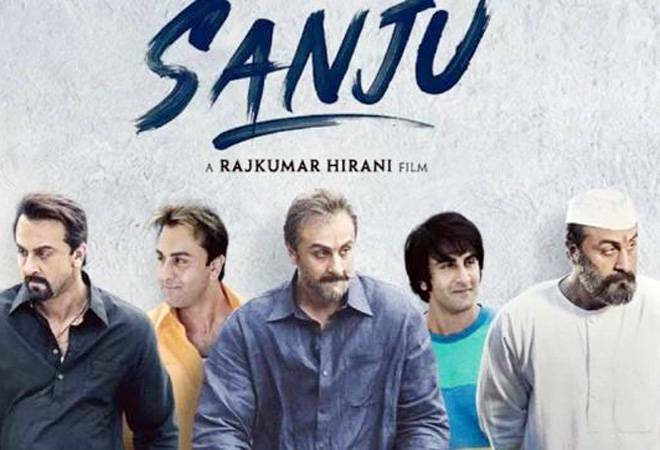 Sanju Box Office Day 1: Can Ranbir Kapoor finally break the jinx? As his latest offering, Sanju, Sanjay Dutt's biopic, releases today, critics are unanimously praising Ranbir Kapoor's performance again. In the last decade, starting from his first movie, Saawariya, most of Ranbir Kapoor's performances have left nothing wanting. As his latest offering, Sanju, Sanjay Dutt's biopic, releases today, critics are unanimously praising Kapoor's performance again. But if there is something we have learned is that great performances do not make a blockbuster movie. Without straying farther, one can take a look at Ranbir Kapoor's trajectory itself. Ranbir Kapoor has given one top-notch performance after another but most of his recent movies have tanked. In fact, his last movie, Jagga Jasoos sank without a trace. So, how will Sanju be any different from other Ranbir Kapoor movies? For starters, Sanju is a Rajkumar Hirani movie. Hirani is the founder of the much-coveted Rs 200 crore and Rs 300 crore clubs. He has had a fantastic, unmatched run till now. Sanju is Raju Hirani's fifth movie as a director. The previous four - Munna Bhai MBBS, Lage Raho Munna Bhai, 3 Idiots, PK - were all box office blockbusters as well as critics' favourites. Very few directors witness such a success rate. However, these were also family entertainers with pertinent messages hidden in them. Sanju, on the other hand is a biopic of a man who was convicted of illegal possession of arms and arrested under TADA. Moving on to the subject of the biopic - Sanjay Dutt. The only actor who has as much fanfare as Bollywood's Bhai is Bollywood's Baba. Sanjay Dutt is loved - within the industry and by the masses. Sanjay Dutt - Rajkumar Hirani's Munna Bhai only cemented the adulation he enjoyed. Like Munna Bhai, Sanjay Dutt too is often seen as the kind-hearted big brother who is utterly misunderstood. To add to this, there are many who would want to know what happened on the fateful day he was found with illegal arms. Add to the Rajkumar Hirani - Sanjay Dutt combo, Ranbir Kapoor's powerhouse performance. Kapoor's mannerisms and makeup in the movie is so spot on that one might even get confused between the two. There's, additionally, Ranbir Kapoor's fandom that's a force to reckon with in itself. The movie looks in good shape from here. With reviews pouring in, positive word-of-mouth would too have a good impact on the footfall. In fact, trade analysts are predicting Rs 27-30 crore in collections on the opening day itself. Many believe that it will earn Rs 100 crore in the first three days. So, can Ranbir Kapoor break the jinx? It is very likely because if Raju Hirani + Sanjay Dutt + Kapoor's performance + positive reviews cannot save a movie, there's precious little that can.